I’m going to move us over to a different theme and try it out for a bit. If we can get to another theme and get it the way we want it, that will put us in a good place with updates, as the other themes are well maintained. So let’s try one out and that should fix a lot of the functionality issues you guys have expressed, even if we might not be accustomed to the layouts. @approxinfinity Everything seems to work! Might take some getting used to but I like it so far. Kudos! Getting out of Chat required a blind touch on the top of the screen where it was blank. The back button didn’t exit. I was in vertical orientation, and I haven’t tried horizontal. Maybe there is a return path there. Will report. @approxinfinity Okay, no obvious return from Chat in horizontal, either. Pressing the top banner works if you touch the very top right corner. It also returns to my home screen if I flick down from the top in Chat mode. I did not see a Chat option in replying to posts, but I might have missed it. @approxinfinity Is that why the home page is a vertical stack of bubbles representing the different categories? Thought I had done something. @approxinfinity You don’t want my opinion of this theme. Where’s my ruby slippers so I can click them together. This ain’t Kansas, Toto. Gotta quit on this for the evening. Been tweaking the CSS with overrides with the jayhawk hexcodes trying to get this feeling more like the old theme. A couple known things that still need tweaking. Active color on nav menu seems messed up on some browser (white background around item). Progress bar below is still teal (not jayhawk blue). Clicking on reply button dropdown makes yellow -> teal. Outline around menu items is unnecessary when hovering over. EDIT: Also, changing the image set for the categories so that they center around something meaningful, as they’re much smaller than what we had in the other format. If there are any others you guys see, let me know. @brooksmd if there are specific elements you dont like, that would be helpful. I’m trying to make this feel as comfortable as the old theme. I can tweak specific elements in the theme. @Crimsonorblue22 Hey! I changed two things, can you tell me if either them resolve your issue with composing? #1 I turned on “quick reply” feature, which automatically has a post quick reply box at the bottom of a thread (try posting through that) #2 I changed the composer to be a separate route, so it no longer opens as a modal at the bottom, it opens in a separate page. Can you tell me if that now works for you also? Now it’s starting to come together. Looking nice @approxinfinity. A few more tweaks and you’ll have it. @jayballer54 oh! So for emojis type colon and start typing the name of the emoji. It will autocomplete. As for the readability I am very sensitive to making this thing legible. That’s good feedback and I’ll see what I can do there. UI change to something you’re deeply familiar with is always an uneasy feeling. I’m sympathetic to all the angst. I feel it too. Once we get the colors down right, as well as any legibility concerns, i think we will be in a good spot, and we will all get acclimated and I think this will be very comfortable again. Functionally, it looks like we may have resolved the chat issues that @mayjay had, the posting issues @Crimsonorblue22 had and the date issues on posts that others have reported. @JayHawkFanToo please let me know of the scrolling issues you had are now resolved. @ParisHawk also let me know if this alleviates some of the layout concerns you had. I am not sure if it is the Browser (Firefox) but looks like the font is now smaller and thus harder to read for us older folks. I’ve seen that error rarely as well. When I get it I reload the page and it goes away. The animation issues are all resolved though? @approxinfinity if we get a notification, is there a way it can be hilighted so we can tell which post it is? I see there is a thin blue line between the older and unread posts. Nice. @Crimsonorblue22 so I think there is a subtle line under the post that disappears after a sec and also a little icon on right that does the same (?) if so shouldn’t be too hard to override css to highlight post. Also when you are posting now does both the full screen composer as well as quick reply work? If so I am debating removing quick reply. Yes, the quick reply and the full compose with the double boxes both work. 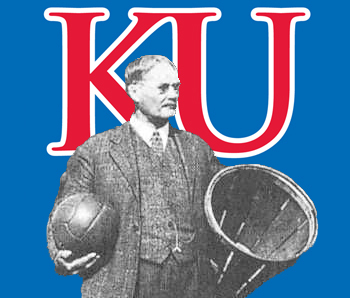 @JayHawkFanToo excellent! Thanks man. And no issues with scrolling like before right? @JayHawkFanToo I feel you on the legibility, good feedback there. I felt same way about the big white sheet effect. Part of the reason why I colored the header blue again. Only briefly looked at background colors on main layout. Will explore. Thanks. I went to the “Crootin Thread III, Wherein Some Players Probably Commit to KU” thread that has 292 post and I tried to scroll up and when it gets to post 266 it will not scroll up any further. Looks like 25+/- posts is the limit. If I click on page reload it allows me to go up another 20 posts from the current position. If I click on the double up arrow it goes to post 1 and then I can scroll down to post 20. A page reload allows me to go 30 posts further down at the time. Hopefully this gives you some Blues clues. Is there a way to have my post area be half screen again so I can reread what I’m replying to? @jayballer54 First: the emoji button might just be out of sight. Try scrolling to the right on the command line where it gives you the italics and boldface options. You should find the emoji smiley face button. It takes awhile to load the images of each icon in all the very long categories, but be patient. They are there. There should also be a little cloud icon with an arrow on the command bar. This is for loading documents and pictures, as before we used the picture icon. Second: You can still read the post while composing. Just use the “Quote” button (instead of “Reply”) when replying. That puts their post in yours. When you are done, you can leave as much of it there (helps us figure out what you are replying to) or delete it all if you want. @Kcmatt7 If the iPad guys are OK with using the quick reply in lieu of the regular reply (until the issue is resolved by the node guys) then we could make it half screen again. Hard call there. Or what @mayjay said is a valid work around. The node bb guys are gearing for a major release soon. I’m going to see what they changed there and may recruit the iPad guys to test on a separate instance of the board. Hopefully the reply issue will be resolved there. @mayjay Thats pretty simple. Sometimes I wonder where my head is at… I even have two monitors at work. How do you look when you are wearing ruby slippers? I always thought they would have looked better without the bobby-sox. Well, I don’t have to fit this into a workday like you younguns, so I have a bit more time to play around with things. @mayjay Kind of gross with hairy legs. Nice of you to think of me. My rant was toward overall GUI tendencies these days, not nodebb in particular and especially not this site. Yes, this theme does grab less real estate across the top of the screen. I have three cousins that are programmers. Mostly video games, one worked or EA for a bit. I have acquired exactly zero knowledge thru osmosis from them. I suppose a more hands on approach to learning is needed. I do as well @REHawk , but the reply button works fine. The scrolling issue seems to be resolved. Are you able to post without issue @Crimsonorblue22 ? Just click in the box above the box for “post quick reply”, not the box with those words themselves. You should be able to compose in that box. Then hit the “post” button when you are done. Worked for me.